(okay, incredibly annoyed) by the lack of academic feminist commentary in mainstream election coverage, I reached out to some amazing academic feminist folks and asked for their thoughts on the election. The people I asked to contribute are all over the disciplinary – and geographical – map. I asked these feminist sociologists, historians, literary scholars, political scientists, and geographers what they thought was missing in current discussions about the election, and what they would draw our attention to instead. Their answers ranged from discussions about the now (in)famous “binders full of women” comment, to the inclusion of “women’s Issues” in the debates, to the effects that this election could have on women’s rights through the judiciary system. Non-US scholars also chimed in about the need to re-imagine what is possible politically. Without further ado, I present The Academic Feminist 2012 Election Forum! 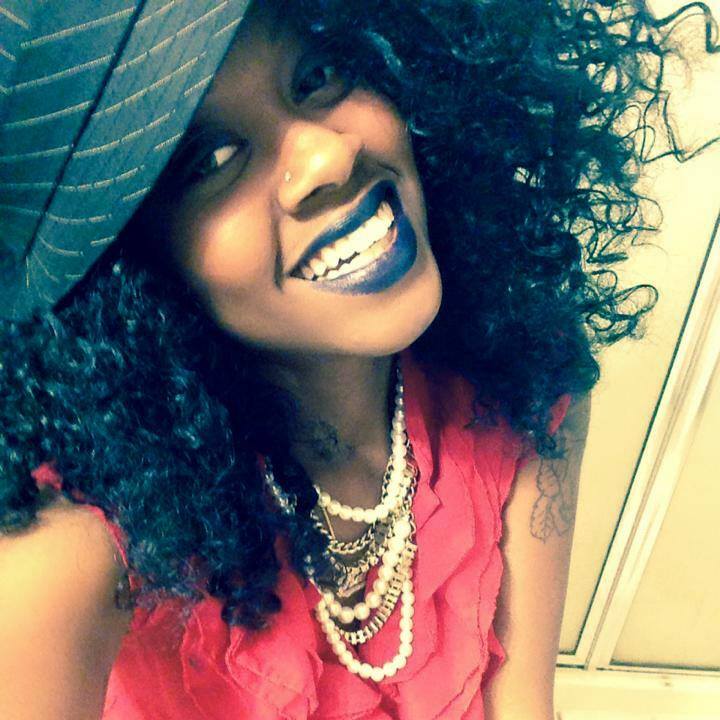 Dr. Tanisha C. Ford is an Assistant Professor for the Department of Women, Gender, Sexuality Studies and an Adjunct Assistant Professor for the Department of History at the University of Massachusetts Amherst. I have been analyzing the “binder” memes that have circulated the web in response to Governor Mitt Romney’s now infamous “binders full of women” comment. 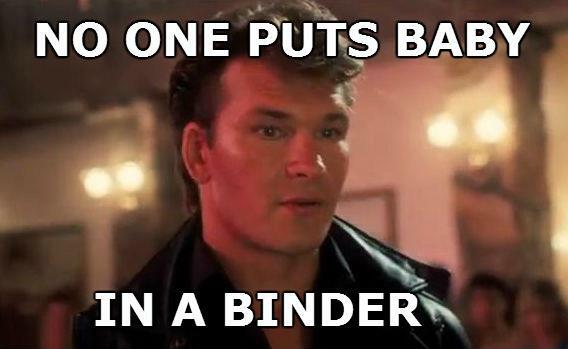 I particularly like the meme that appropriates a line from Dirty Dancing: “No one puts Baby in a binder” because it humorously addresses Romney’s awkward dirty dance around the issue of equal pay for women. Replacing “corner” (from the original line) with “binder,” the meme’s creator links the fictional Baby with a host of real women of various classes and ethnicities fighting for equal rights. The women in Romney’s binders—like Baby in the corner—know what it feels like to be marginalized. And, women of color in particular know all too well about the multiple jeopardies that often relegate us to the fringes. 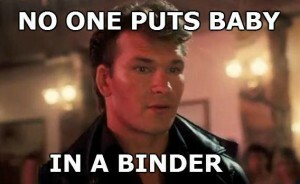 The Dirty Dancing binder meme also offers an alternative language through which we can discuss political agency. By recognizing that “binders” is the new code word for “margins,” feminists can use digital media to name oppression—no matter what coded language is used to mask it. Coupling digital feminism with other strategies, we can work to move ourselves out of the binders, corners, fringes, and margins of American society and culture. 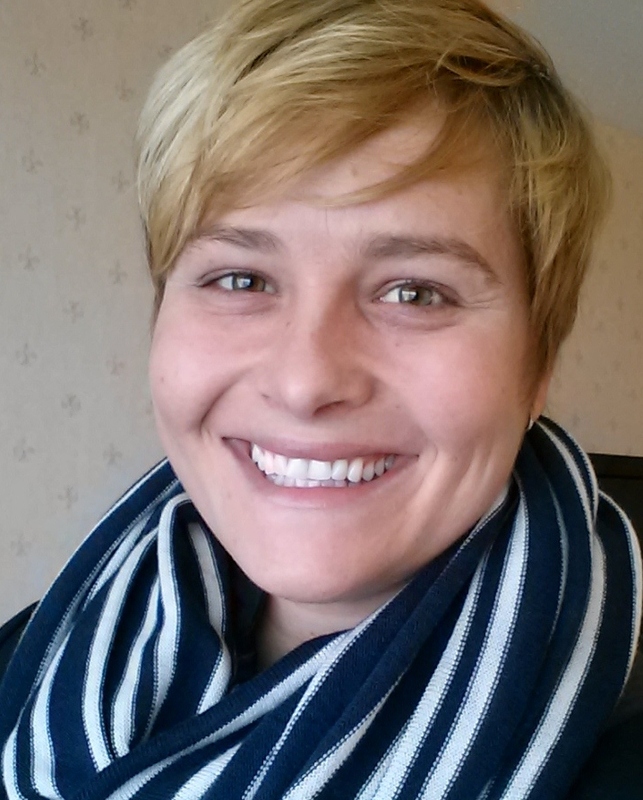 Dr. Jen Jack Gieseking holds a Ph.D. in environmental psychology and is Visiting Assistant Research Professor at The Graduate Center, City University of New York (CUNY). Like pundits, those close to me were making constant judgments regarding who claimed the stage during and after each debate rather than focus on the actual issues at stake and the candidates’ positions (or lack thereof) on them. Thankfully–I now say–I wasn’t watching the debates as they progressed; I was just about to defend and then defending my dissertation during October and so I closely observed it all unfold around me. I noticed that much of this talk of winners and losers was a way to speak to Obama’s less exciting performance in the first debate, and was a way for leftists to regain traction against the right during the second and third debates. I also noticed that a win/lose obsessions make us forget the issues, the same issues that come from and seep into our everyday lives. My shock around my friends’ and colleagues’ obsessions with who “won” made me feel I had entered a bizarro masculinist world where bouts and fights were the main if not only ways to make change. Instead, we need strong policy and long-term leadership and vision that cannot be reduced to a two-hour performance on primetime television. In gaining political depth perception, I can share there is something lost in the immediacy of such media when it becomes firmly attached to talk on “winning” – for more data, see: Charlie Sheen’s (non)#winning – because it becomes this type of “debate” is dulled out, simplified, and patriarchal narrative of a future, one we still and always have the ability to form and lead. For one step toward the feminist response to simplified declarations of “winning,” I say let the #complicated prevail. 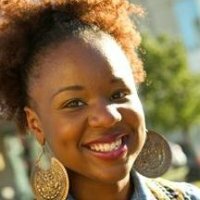 Dr. Liana M. Silva-Ford is the Managing Editor and Contributor for Sounding Out! 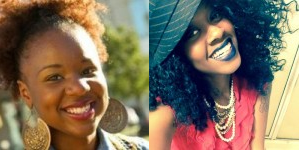 Blog and the Graduate Writing Specialist at the University of Kansas. As I watched the second-to-last presidential debate (moderated by Candy Crowley) and the vice-presidential debate (moderated by Martha Raddatz), I cheered that women’s issues were being addressed, most notably in Obama’s statement that “women’s issues are everyone’s issues.” I also noticed that the ones bringing up these issues were women. In the vice-presidential debate, for example, Raddatz asked candidates Joe Biden and Paul Ryan how they came to their beliefs on abortion. In that case, abortion became a frame through which voters could get a better view into the moral values of both candidates. In the second presidential debate, Katherine Fenton, a young undecided voter, asked both Romney and Obama about pay inequality. (Romney’s response to the question gave way to the now-infamous “binders full of women” comment.) Although I was happy to see women’s issues become part of these national debates (especially after months of watching women’s rights get trampled on in the national spotlight), I wondered why these issues were not brought up by any men. Is this another manifestation of patriarchy, or can we count on men in the political spectrum to be allies too? For example, I would have liked to hear someone ask both sides about the GOP’s “War on Women”—not just about the GOP’s inconsideration for women’s rights but also the Democrats’ use of the phrase in their campaign. But more importantly, would it be different if a man had asked these questions? As Chloe pointed out in a Feministing piece titled “Well, You Did Dare to Speak in Public” “if a 24-year-old man had stood up and asked a question that conservatives didn’t like, they wouldn’t pull this kind of stunt.” Can we count on men to be advocates for women’s rights too? Can we count on others to think about our concerns too? The “War on Women” is not just about contraception and Roe vs. Wade (although those are major issues under fire). It is about the economy, about maternity and paternity leave, about education, about social attitudes. To paraphrase Obama, these are everyone’s issues, but they are also women’s issues. Dr. Kelly Dittmar is an Assistant Research Professor at the Center for American Women and Politics at Rutgers University. The Psychological Science article tying ovulation and marital status to presidential preference spurred an immediate backlash last week, causing CNN to take down the piece and issue a vaguely-worded mea culpa. The idea that women’s hormones shape their electoral choices hits at the heart of the stereotypical biases that gender political institutions. For over a century, women have combated claims that they were too fragile, emotional, and hormonal for the rough and “rational” world of politics, whether as voters or candidates. More clearly, traits associated with femininity and women have often been rendered incompatible within political offices defined by masculinity and long-inhabited by men. In 1972, Dr. Edgar F. Berman, a member of the Democratic party’s Committee on National Priorities, argued that women’s “raging hormonal imbalance” made them unfit to hold top executive positions in government. Unfortunately, while given somewhat less legitimacy, Hillary Clinton faced similar claims in 2008. Addressing these biases without caving to gender norms is not easy for candidates. That may be one reason why women in the United States remain particularly underrepresented in executive political offices. The future may be brighter for female executives, with 36 gubernatorial seats up in 2016 and at least one woman on top of the presidential short list in 2016. But, if 2008 taught us anything, we should remember that having a woman on the ticket is not enough to change institutional norms. As voters, practitioners, and candidates, we need to challenge campaign strategies and media narratives that push men and women to adopt a “manly presence” to be successful, and instead work to disrupt the underlying gender dynamics that too easily attribute power and legitimacy to masculinity and men. To start, we can challenge our internal, and often implicit, expectations of what it means to be a leader, what it looks like to be a politician, and what is required by us as voters to be a successful executive officeholder (all without letting those pesky hormones get in the way). Despite record-breaking levels of poverty in this country, a wave of hunger faced by young and old alike, an ongoing foreclosure and eviction crisis of epic proportion, and income inequality that rivals the Gilded Age in depth and ostentation, the Democratic and Republican nominees for President of the United States have mentioned poverty so infrequently that even mainstream journalist have begun to question why it is “the issue that went missing.” Democrats are so afraid of being characterized as entitlement-loving big government enthusiasts that they have largely ceded the ground of talking about economic justice to the Republicans and third parties. When Democrats dare to acknowledge the reality of inequality and exploitation, they talk only about the elusive middle class, occasionally throwing in a reference to “poor children and working families.” This infuriating phrase is just one more way to say, “Screw you” to poor adults. In fact, the only person who mentioned that social assistance programs are actually a good thing at the Democratic National Convention was Sister Simone Campbell! As my late, legendary friend Ron Sontag of the Schenectady Green Party used to say, “Casting your vote based on fear is not democracy; it is totalitarianism.” I’ll be casting a vote for the politics of courage. I’ll be voting for Jill Stein and Cheri Honkala. Dr. Sally J. Kenney is the Newcomb College Endowed Chair, professor of political science, and Executive Director of the Newcomb College Institute at Tulane University. As political scientists and pundits color in blue, red, and purple states and predict outcomes in Congress, almost everyone ignores state and federal courts, our third branch of government (which, by the way, is now in the business of deciding close presidential elections). The gender composition of the judiciary is at stake. Despite his experience with “binders full of women,” Governor Romney will not likely appoint as many women to the federal bench as President Obama. Before President Jimmy Carter, Presidents appointed one or two women to the federal judiciary. More than 15% of President Carter’s appointments were women. Although President Reagan appointed the first woman to the U.S. Supreme Court, his overall percentage was about 7%. President Clinton appointed nearly 29%, President Bush closer to 22%. Forty-four percent of President Obama’s appointments to the federal bench have been women. He has also nominated 31 women of color. Although women are represented across the political spectrum, conservatives do not seem to like to appoint conservative women, preferring men. Republicans have been also been far more comfortable blocking Democratic presidents’ nominees, taking particularly long or more often refusing to confirm women and minority men in times of divided government. Beyond political appointments, many states elect supreme court justices and women have a tenuous hold on state supreme court. South Dakota was the last state to add a woman to its state supreme court in 2002. Three states–Iowa, Idaho, and Indiana– have reverted to being all male (although the Governor of Indiana has nominated a woman). If you are in a state where judges are elected, or face retention elections, vote all the way down the ballot, as a recent West Wing video advises. We need to accelerate the slow progress women have made, not go backward. The future of the judiciary is at stake in this election. Guillermo Yrizar Barbosa is a PhD student in sociology at the CUNY Graduate Center and a research assistant at the School of Public Affairs in Baruch College. International irregular migration is one of the most candent and neglected topics in the 2012 presidential elections; not only in the United States, but also in Mexico. Yes, presidential candidates at both sides of the Río Bravo make reference to the undocumented, to the DREAMers, to those crossing clandestinely the border, to families being separated, or to human beings in the shadows of the “American dream” earning the crumbs of the crumbs (i.e. babysitters, cooks, housemaids, janitors, construction and agricultural workers), and those living in fear and with increasing criminalization and “Arizonization.” But on neither side of the Rio Grande do presidential candidates elaborate in detail on real, humane, and bilateral solutions for a country of irregular migrants (12 million) living inside the world champion of freedom and democracy. They ignore the condition of those dying in their attempt to leave poverty, and of those being kidnapped and murdered in Mexican territory. Enrique Peña Nieto, the contested winner in Mexico, believes that he is going to achieve the Enchilada Completa (immigration reform) just by visiting the White House and by placing the “war on drugs” at the center of the agenda. Like President Obama, he is wrong, because he is disregarding the role of the US Congress and “party’s position”. Like President Calderon, he is wrong, because human rights and inequality are far more central than drug trafficking or a national security perspective. How long will we continue to believe that one individual has the solution to a phenomenon that by definition is multilateral and multidimensional? How long will we tolerate the “securitization” and dehumanization of US-Mexican migration flows? Dr. Kate Eichhorn is an Assistant Professor of Media and Cultural Studies at The New School for Liberal Arts. As a non-US citizen with no desire to ever become one, I believe that what’s missing in commentary around “women’s issues” in the US election is imagination. “United Statesians” need to look beyond their borders to other places in the world where social programs have already transformed women’s lives. I’m currently on sabbatical in Québec where they have a universal daycare program. That fact that people have access to $7 a day daycare combined with the state’s generous parental leaves for both women and men has a tremendous impact on how people raise their children from the onset and on women’s place in the economy and public life. All of these things are in reach for “United Statesians” but first, you need to imagine that it is possible to live in a radically different type of state. Real change, I believe, needs to begin by creating real options for women voters, but where are these options in the US? I’m not just talking about running more female candidates but running candidates who are willing to bring an explicitly feminist mandate to the table. In Québec, there is a Marxist Feminist party that is led by co-spokespeople (always a woman and man) rather than a single leader. Both of the party’s spokespeople, including longstanding feminist activist Françoise David, currently hold seats in the National Assembly, keeping feminist issues on the political agenda here. When I have the option of voting for a Marxist feminist leader in a US presidential election, I’ll consider becoming a US citizen, but for now, I’d prefer to cast my votes where there are viable options for feminist voters. In addition to the above, here a few pieces that the Academic Feminist has been reading/thinking about this election season. Add your own election-related links in comments. Ann Friedman, What’s at Stake for Women on Nov6?